Looks like the iPhone may be getting smaller again. After several updates in a row that brought us bigger, more powerful iPhones, at the March Apple 2016 event we might see the return of the 4-inch model, according to tech blog 9to5Mac. It reports that the new phone would be called iPhone 5se, and would be an update to the iPhone 5s -- not a preview of the next generation iPhone 7. The site reports that the "se" suffix indicates a "special edition." 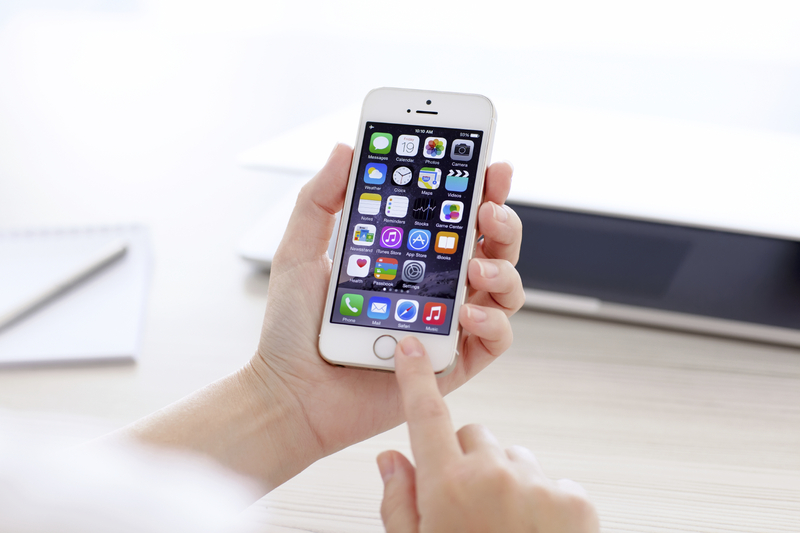 The old 4-inch phone screen size was last seen on the iPhone 5s. The new "se" version will apparently have upgraded software and hardware, blending features of both the older phone model and tweaks that have come with the past two iPhone upgrades. Sources close to Apple gave 9to5Mac a list of expected updates that may be found on this new version of the iPhone, including curved glass edges like the iPhone 6 and 6s, an 8 megapixel rear camera and 1.2 megapixel front cameras from the iPhone 6, and other photo and video enhancements. Other reported features include a barometer for tracking elevation in the Health app, an NFC (near-field communication) chip to enable the use of Apple Pay, and the same four color options as the iPhone 6s models -- Silver, Space Gray, Gold, and Rose Gold. 9to5Mac says the iPhone 5se will likely hit the market in late March or early April. Industry analysts have told CNET a smaller option might make sense as an alternative option for Apple customers who've been left behind as phone models got larger in recent years. To compete with popular big-screen Android models, Apple bumped up the size of its iPhone 6 screens to 4.7 inches and its iPhone 6 Plus to 5.5 inches. Those same sizes carried over to 2015's iPhone 6S and iPhone 6S Plus. In other news from the Apple rumor mill, consumers can apparently expect a March launch for new Apple Watch band styles. And CNET reports iPad fans can expect a new version of the tablet -- code-named "iPad 6,3" and "6,4" -- next November. Follow coverage of the Apple 2016 event live at CBSNews.com and on CBSN.